Our practice is dedicated to providing you with the highest quality of eye care available. Our comprehensive eye examinations will test more than just your vision. We will test and treat for any potential eye disease or disorders, such as cataracts, as well as for muscle balance, visual field, and vascular conditions that affect your eye health. Your visual skills and abilities are thoroughly evaluated and appropriate treatment is prescribed, whether its glasses, medication, or vision therapy. Most of our eye tests can be bulk billed however please see below our fees. We will manage all your eye care needs, and will treat them with the most state-of-the-art technology. Our number one concern is the health of your eyes, and our aim is to provide the best possible vision and eye health care. A routine eye vision examination in our office requires a total of approximately 30-45 minutes. This amount of time is needed to perform all the necessary tests to thoroughly assess your visual efficiency and eye health. For children we can provide a report for teachers, specialists and GP so that everyone is kept informed. It is important for you to provide information regarding family history of eye diseases, your previous eye health issues and your general health to your optometrist. Following the eye examination, your optometrist will explain the results of your examination and discuss recommendations regarding any remedial, preventative care or treatment. Why does my optometrist use drops that make my pupils larger? As part of your eye examination your optometrist looks through your pupils to inspect the inside of the eye. In particular, the back of the eye is inspected because it contains the most sensitive part of the retina and the optic nerve that carries the visual picture to the brain. The instrument used for this examination is called an ophthalmoscope. This bright light would normally make the pupil very small and restrict the optometrist’s view of the inside of the eye. This would be like looking through the keyhole in a door to examine with a small torch beam the inside of a dark room. To overcome this problem and allow a thorough assessment of the interior of the eye, your optometrist may need to make the pupils larger. Pupil dilation will allow an examination of the more peripheral parts of the eye or a particular feature under high magnification. This is achieved by placing drops in the eye, which alter the muscle balance controlling the pupil size and allow the muscles that make the pupil larger to take effect. The drops act gradually to dilate the pupils over about 20 minutes. You may notice difficulty in focusing on near objects such as books and some people notice that their distance vision is also blurred. You may also be more sensitive to bright lights and glare. These effects are harmless and largely wear off within about one hour. Many people, particularly the elderly, may experience no change at all in their vision. Are their practical measures I can take following dilation? Yes. Because the larger than normal pupils are letting more light into your eye, glare may be an inconvenience for a short time. You should take a pair of sunglasses with you when you attend your optometrist, in case glary conditions make you particularly uncomfortable. Alternatively, a short spell in the waiting room will allow your vision to return to normal. If your vision is blurred when your eye examination is completed,, you should be careful walking, particularly when stepping off footpaths or crossing roads. It is important that you wait for your vision to return to normal if you intend to drive or use machinery. You may wish to arrange for someone to drive you to your home or workplace immediately after the examination. A visual field examination is a test designed to find out how well your peripheral vision is functioning. Reading an eye chart tests how well your visual system is working in the central area but provides little information about your side vision. A visual field examination tests both your central vision and your peripheral vision by measuring the sensitivity if your visual system in various positions. The computer varies the brightness of the test lights and notes whether you saw the lights and responded by pressing the button. This allows the sensitivity of the visual system at each point to be measured. 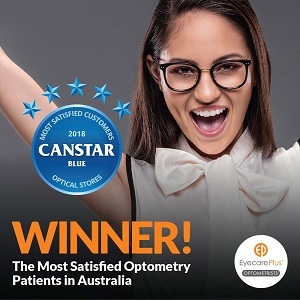 The Federal Government recognises the importance of visual field testing for the long-term health of your eyes and pays a Medicare benefit for examinations. You will not be required to pay any out-of-pocket expenses. At Aphrodite Livanes Eyecare Plus we are committed to providing you with the highest standard of eye care available. 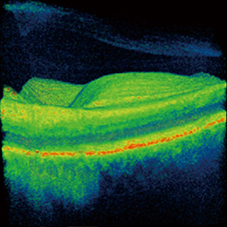 With this in mind we have recently installed the very latest technology to include Optical Coherence Tomography. This allows us to take 3-dimensional scans of the back and front of your eyes, rather like an MRI scanner does for the rest of the body. This is one of the most advanced diagnostic tools available. An OCT scan is comfortable, and non-invasive, the images are captured in seconds using optical scanning and flash photography, without the need to come into contact with your eyes. The images show exceptional detail and allow us to compare your eyes over time, showing changes that would be impossible to detect without this revolutionary new equipment. With OCT we can for the first time look beneath the surface at the layers below. We can microscopically magnify them and ensure that they are healthy. A detailed retinal photograph is taken at the same time. 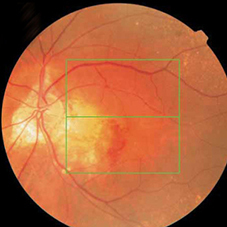 By measuring and monitoring the key layers within the back of the eye we can pick up abnormal changes which would not otherwise become apparent until much later in the development of a disease. *This new additional service is not yet covered by Medicare, but Medicare has approved a fee to be charged in addition to the normal consultation fee. Medicare benefits/bulk billing are payable for most consultations. Full comprehensive eye test with in 3 years of your last full eye health test is $75.00, medicare will give you part rebate. Referrals to specialists will be part of the consultation and do not incur a charge. Contact lens fit & teach $165.00 for patients who have not worn contacts. Our staff will be pleased to explain these fees. Spectacles are provided at no cost for patients covered by Veterans Affairs from a selected range. Your eye test will be covered by Veteran Affairs, please discuss when making your appointment if you need your referral updated if applicable. Additional costs will be discussed with you at the time of your eye test if they are required. Please bring along with you your GP details, Veterans Affairs Card, Details of medications. Concessions are available for pensions and disadvantaged patients. Queensland State Government provides limited assistance for people in need. Our practice is an authorised business to provide Government Spectacles who are eligible. Please talk to our staff, and they will explain eligibility requirements and how to make an application. A $10 admin fee applies.